Mayor Cerino called the meeting to order at 7:31 p.m. In attendance were Councilmembers David Foster, Linda C. Kuiper, Ellsworth Tolliver and Mauritz Stetson, W. S. Ingersoll (Town Manager), Jennifer Mulligan (Town Clerk) and guests. Mayor Cerino asked if there were any additions or corrections to the minutes of the Mayor and Council Meeting of September 4, 2018. Mr. Stetson moved to approve the minutes of the Mayor and Council meeting of September 4, 2018, was seconded by Rev. Tolliver and carried unanimously. Mayor Cerino stated that total operating cash on hand for unrestricted use is $591,520.59. Restricted funds for the Marina project totaled $136,503.53. Chief Baker presented the police report for August 2018. Chief Baker stated that the overtime amount in his report was based on the shooting incident and extra police were called in. He said he thought it necessary for neighborhood safety. Rev. Tolliver stated that he appreciated the efforts being made by the police department to try to solve the incidents in his ward. Mayor Cerino read a proclamation into the record declaring the week of September 17, 2018 as “Constitution Week” in Chestertown. Mayor Cerino read a proclamation into the record declaring September 28, 2018 as “Kent School Day” in Chestertown, in celebration of the 50th anniversary of the first day of class at Kent School. Mr. Ingersoll stated that Wallace Henry has not picked up trash the last few runs due to breakdowns on his two (2) vehicles. He said that Jason Bishop from Eastern Shore Environmental has stepped in and will pick up the trash until Mr. Henry can get back on the road. Mr. Ingersoll stated that Mr. Bishop is also the trash hauler for Rock Hall. Mayor Cerino stated that the Farmers Market was an incredible amenity for the Town and there was an opportunity to evaluate the existing rules and regulations after the passing of Mr. McCoy. He said that he wanted to thank the farmers and artisans for participating in the discussion and for bringing visitors and residents to the downtown area each week. He said he also intended to address the issue of liability insurance after those points. Ms. Kuiper stated that the draft already loosened the 501(C3) rules, allowing many types of 501 non-profits. She said that there were already prepared foods in the market and provisions for temporary, seasonal vendors. Ms. Kuiper stated that she did not invent new rules and regulations; rather, she revived a draft from 2012 and melded the Artisans Market rules and regulations into it, drafting one cohesive document for all vendors in the market. Ms. Kuiper stated that she thought the draft rules were written when busking became an issue for the market. She said that the only additions to the draft were addressing the non-profit organizations, idling trucks, and raffle tickets (requiring a gambling permit from Kent County). The Artisans have always paid an application fee and said she did not know why the farmers did not collect a fee. Mr. Stetson suggested moving the farmers who set up on the interior of the brick sidewalk on Park Row to the High Street side of the park, which would incentivize patrons to walk to all areas of the market. He said that as it stands, everyone wants to be as close to the farmers as they can because in his opinion that was the main reason people go to the market. He said that High Street from Cross Street to Spring Street would then be closed or partially closed for the duration of the market each week. Mr. Bill Kelly stated that he has been with a vendor for fifteen years and was on the outside and interior area of Park Row and that he wasn’t moving from his spot. Ms. Kuiper stated that there have been vendors who complain about carrying their produce and tents to the interior and having no place to park, noting that this way a vendor could park their vehicle on High Street similar to parking on Park Row. Mayor Cerino stated that the idea should be presented to the interior vendors of the market to see if there was interest in moving to the High Street side, noting that this would involve more work from Town police or staff on a weekly basis. Ms. Marcella Lockwood stated that moving the farmers was like moving a storefront owner as people know where their vendors are located in the market. Mr. Charles Lerner stated that he would like to see “commercial” defined, and other language in the document concerning “local” to be changed from “live and produce their products in Kent County…” to “live or produce their products in Kent County…”. He said that would slightly increase those allowed to participate. Ms. Kuiper stated that if changes were made to the Market where the Health Department had to be present on Saturdays, the fee would be set by Kent County and paid for by each vendor. Ms. Nancy Nunn stated that she thought one of the issues that had not been addressed was that the vendors were not engaged in the process before it was presented to the Council. She said that there should be a meeting with all the vendors to revise the document and make additional suggestions and comments. There was a farmer who asked who would enforce the rules on Saturday mornings. Mayor Cerino stated that market manager(s) enforce the rules. Evidently, there were rules not being enforced, such as products from different areas coming in and being sold as local. Mr. James Lockwood stated that he thought there were experts in the room on farmers markets with all the different vendors. He suggested taking the responsibility away from the Council and put it in the vendors’ hands for comments and suggestions before anything was decided. Mayor Cerino stated that he would be happy to send the draft to the farmers for review, but the Town had to be involved as it was Town property and there were expenses and liabilities to be concerned with. Mr. James Flook asked if 501 organizations included political organizations. Mr. Foster stated that they would be included and he liked the idea of local, grass-roots organizations being permitted a table upon request. Mr. Ingersoll stated that he has been the person signing the permits for non-profits since the market began. He said that he makes sure that the group has a local mission and serves the community. Mr. Ingersoll stated that he only thought there might have to be a limit one day on how many non-profits could fit in the Market each weekend. Mr. Bill Bankhead stated that all of the farmers should have liability insurance as it is a cost of doing business. He said that he has the Chestertown Farmers Market listed on his insurance. He also asked if the Council could insure that they are looking at the proper laws when it comes to idling motors as he thought that the wrong law is being cited in the draft. The motion was seconded by Rev. Tolliver and carried unanimously. Mr. Stetson stated that he attended a luncheon for the Salvation Army today and today was “Pat McDonald Day” in Chestertown (due to Pat’s help with the organization). Mr. Stetson stated that it appeared as though progress was being made at the movie theatre. Mr. Stetson stated that he was wearing purple tonight in order to recognize “Kent Goes Purple” for opiate awareness which runs through the end of September. Rev. Tolliver stated that he did not want the negative events in his ward over the last few weeks to stigmatize the area as there were many decent, hardworking people who live in the Calvert Street area. Rev. Tolliver stated that there were problems with traffic in front of Garnett Elementary School. Chief Baker stated that he had an officer assigned to that area last week and he would continue to have someone there to view and help with the problems. Rev. Tolliver stated that a plan to tackle the issues had to be put in place. Rev. Tolliver stated that on Saturday, October 13th there would be a candidate forum of local democratic candidates at Bethel Church with food, music and information on the issues. Rev. Tolliver stated that he was a substitute teacher and one of his assignments for a history class was for the students to write down the positive and negative effects of living in this area. He said that the children have the same concerns over well-being and jobs, which was quite similar to the issues worrying the adults in the community. Ms. Kuiper stated that the 48th Historic House Tour will be held on Saturday, October 6th from 1 p.m. to 5 p.m. Tickets can be purchased at www.kentcountyhistory.org. Ghost Walks will be held every Saturday during the month of October and tickets can be purchased through the same website. Ms. Kuiper stated that the Tea Party Festival was meeting for next year’s events and could use volunteers. Mr. Foster stated that all was well in the First Ward and he was looking forward to attending the Council of Government meeting on Wednesday, September 19th at the Two Trees Restaurant in Millington. Mr. Foster stated that there was a fantastic art presentation taking place at Sumner Hall with a continuing exhibit showing photos of seventeen (17) African American veterans of the Civil War. Mayor Cerino stated that there was a request from Nathan Shroyer to discuss playgrounds in Town. Mr. Shroyer stated that he was a citizen of Kent County, small business owner, and parent to a 6-year old and a 3-year old. He said that he was an urban and regional planner by vocation, specializing in disaster management, mitigation, and community engagement. His profession is buying historic properties that need to be preserved, renovating, and then selling them at an affordable rate. 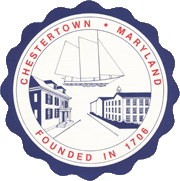 Mr. Shroyer stated that he was a proponent and user of green spaces and in speaking with one of our state delegation was told that it would be easy for the state to give $200,000.00 to Chestertown to build a first-rate quality playground. He said that dynamic playground in Rock Hall was just built with these types of funds. Mr. Shroyer stated that during his research he uncovered that Chestertown has been building parks, but he finds that people travel to Church Hill because their park has bathrooms, spaces for all ages, a covered BBQ area, and top quality playground equipment. He said that he performed a survey on social media and had both positive and negative remarks about Chestertown’s park space, namely people sleeping in the parks and used drug paraphernalia of all kinds. In one case a playgrounds seemed to have used equipment that had been repurposed. Mr. Shroyer stated that stakeholders of the community should be invited to the table to plan out a playground. He said that he photographed all of the parks on several occasions but they were not used, with the exception of Wilmer Park and dog walkers at Bailey Park. He said that he did not see any people in any other parks and never encountered youth at the parks. He said that there was no directional signage; the only signage stated what was prohibited. Mr. Shroyer said that the play equipment at Bailey Park was hard to see and had limited access. The only bathroom is a port-o-potty which did not work for parents of young children. He said that it is his understanding that the Garnett Park was once a great playground but it was taken down and replaced with other equipment and is not accessible most hours. Mr. Shroyer stated that those who answered his survey had great ideas and they should be considered when looking into a new park design. Teen space was the number one want and the second was for a community indoor space. BBQ space was important as were restrooms. Adding water activities, flower gardens and tennis courts were suggested. He said key things to consider would be accessibility and outreach. Mayor Cerino stated that there was a community center in Worton. Mr. Shroyer stated that he was here to address the needs of Chestertown. Mr. Lerner stated that the library just opened a teen collaborative space with games nights and all other types of entertainment. Mr. Ingersoll stated that new tennis courts were recently installed at the Kent County Middle School as well as basketball courts. They were open to the public and currently underutilized. Mr. Shroyer stated that great parks are when there are adults present who are supervising without being supervisors. He said that the negative activity at the pocket park is a group of teens who are being boys but are unsupervised. He said that people should also not have to find the obvious resources in Town. Mayor Cerino stated that there should be a pop up section on the Town’s website locating all of the public parks in Town as well as other recreational information and opportunities. Mr. Foster stated that the Town also had the Rail-Trail. Mr. Shroyer stated that comments on the trail were mostly asking when it was going to connect to Worton. Mr. Shroyer stated that there was great quality of life in Chestertown, but parents and families should not have to drive a half hour to recreate. He said that people asked why Wilmer Park doesn’t have play equipment for families or why the yacht harbor didn’t incorporate that as part of their plan. Mayor Cerino stated that it was important to understand that the Town did not have money in its coffers for “cool” stuff. Its parks were outside of the general budget funded through grants with a few exceptions. The Broadreach sculpture was funded through a small NEA grant, but mainly through private donations. The Dog Park was through state funds and the “Friends of the Dog Park” added amenities each year funded by donations. Mayor Cerino stated that the $200,000.00 mentioned earlier in the presentation was undoubtedly through the Community Parks and Playground Fund, who has been generous to the Town. They funded the Gateway Park, the improvements at Kent County Middle School, and an upcoming renovation of the Washington Park park area which is scheduled to begin at any time as a few examples. He said that this was a competitive grant and there was competition between other Towns and Counties in the State of Maryland for that funding. Mayor Cerino stated that there was a grant in hand for Washington Park but the project is not complete. In general, the State will not fund additional grants while a community is still expending one. Most of the capital energy is at the Marina, which has been a massive undertaking for a Town of Chestertown’s size, having raised $5 million dollars in state and federal grants, along with $850,000.00 in private donations. Mayor Cerino stated that after the Washington Park grant improvements are finished, another grant request could be made for a destination playground. Mayor Cerino stated that he had an email exchange with Brian Jones, Mayor of Rock Hall, who told him that their playground was funded through a Community Parks and Playgrounds Grant in the amount of $175,000.00. The park was designed and installed by a Rock Hall playground manufacturing company. He said that Rock Hall has a Recreation Commission, similar to Chestertown’s Recreation Commission, who took the lead on the project and reported back to the Rock Hall Council on the grant and installation of the equipment. 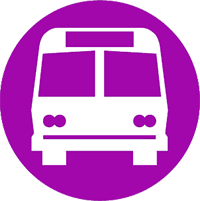 Commissioner William Pickrum was present for the meeting and said that he wanted the Council to know that the Maryland Department of Transportation would be hosting their annual meeting with Kent County on Tuesday, October 6th at 6:00 p.m. He said that the Council was welcome to attend and to make their needs known. Commissioner Pickrum said that the Commissioners would ask questions about the Bypass and the Bay Bridge Crossing. There being no further business and no other questions or comments from the audience, Mr. Stetson moved to adjourn the meeting at 9:12 p.m., was seconded by Rev. Tolliver and carried unanimously.